Pharmaceutical direct mail marketing, services from Coyle Print Group Inc.
Pharmaceutical direct mail - direct response methods, products, services from Coyle Print Group Inc. If you're like most people who manage pharmaceutical print production, you can't possibly research the thousands of suppliers that serve the print buyers of America, nor would you want to. First, it's not a productive way to spend your time. Second, it will cost less to have the pharmaceutical print production experts at Coyle do the work for you. Really, it's okay to "pass the buck" to Coyle; we welcome every single one of your projects. And our ability to take on a portion of your pharmaceutical project or the entire project is part of what makes us different. 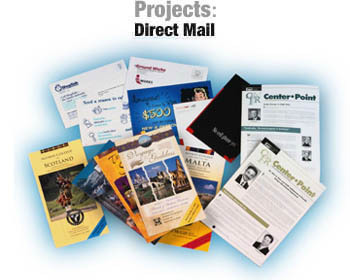 Coyle Print Group handles every aspect of pharmaceutical direct mail from data processing to fulfillment. We manage consult through the design phase, supervise the production and manage fulfillment and distribution on projects from self-mailers to multi-component customized and / or dimensional mailers.